Occult aspiration of nasopharyngeal secretions into the lower respiratory tract is a normal event in healthy people, usually without apparent clinical significance. It is an infrequent complication of general anesthesia, gastroenteritis, and an altered level of consciousness. o The amount of particulate material. Increased clinical severity is noted with volumes greater than approximately 0.8 mL/kg and/or pH < 2.5. Hypoxemia, hemorrhagic pneumonitis, atelectasis, intravascular fluid shifts, and pulmonary edema all occur rapidly after massive aspiration. These occur earlier, become more severe, and last longer with acid aspiration. Most clinical changes are present within minutes to 1–2 hr after the aspiration event. In the next 24–48 hr, there is a marked increase in lung parenchymal neutrophil infiltrations, mucosal sloughing and alveolar consolidation that often correlates with increasing infiltrates on chest radiographs. Aspiration impair pulmonary defenses, predisposing the patient to secondary bacterial pneumonia. If a patient has had large volume or highly toxic substance aspiration it is important to perform immediate suctioning of the airway. When immediate suctioning cannot be performed, later suctioning or bronchoscopy is usually of limited therapeutic value. An exception to this is if significant particulate aspiration is suspected. Attempts at acid neutralization are not warranted because acid is rapidly neutralized by the respiratory epithelium. o Have a chest radiograph taken, even if asymptomatic. If the chest radiograph and oxygen saturation are normal, and the patient remains asymptomatic, home observation, after a period of observation in the hospital or office, is adequate. No treatment is indicated at that time, but the caregivers should be instructed to bring the child back in for medical attention should respiratory symptoms or fever develop. For those patients who present with or develop abnormal findings during observation, oxygen therapy is given to correct hypoxemia. Endotracheal intubation and mechanical ventilation are often necessary for more severe cases. Bronchodilators may be tried, although they are usually of limited benefit. corticosteroids does not appear to have any benefit, unless given nearly simultaneously with the aspiration event; their use may increase the risk of secondary infection. Prophylactic antibiotics are not indicated, although in the patient with very limited reserve, early antibiotic coverage may be appropriate. If used, antibiotics should be used that cover for anaerobic microbes. If the aspiration event occurs in a hospitalized or chronically ill patient, coverage of Pseudomonas and enteric gram-negative organisms should also be considered. A mortality rate of ≤5% is seen if 3 or fewer lobes are involved. Unless complications develop, such as infection or barotrauma, most patients will recover in 2–3 wk, although prolonged lung damage may persist, with scarring and bronchiolitis obliterans. Prevention of aspiration should always be the goal when airway manipulation is necessary for intubation or other invasive procedures. Feeding with enteral tubes passed beyond the pylorus and elevating the head of the bed in mechanically ventilated patients have been shown to reduce the incidence of aspiration complications in the intensive care unit. The most dangerous consequence of acute hydrocarbon ingestion is usually aspiration and resulting pneumonitis. Hydrocarbons with lower surface tensions (gasoline, turpentine, naphthalene) have more potential for aspiration toxicity than heavier mineral or fuel oils. Ingestion of >30 mL (approximate volume of an adult swallow) of hydrocarbon is associated with an increased risk of severe pneumonitis. Clinical findings of chest retractions, grunting, cough, and fever may occur as soon as 30 min after aspiration, or may be delayed for several hr. Lung radiograph changes usually occur within 2–8 hr, peaking in 48–72 hr. Pneumatoceles and pleural effusions may occur. Patients presenting with cough, shortness of breath, or hypoxemia are at high risk for pneumonitis. Persistent pulmonary function abnormalities can be present many years after hydrocarbon aspiration. Other organ systems, especially the liver, central nervous system, and heart, may suffer serious injury. Cardiac dysrhythmias may occur and be exacerbated by hypoxia and acid-base or electrolyte disturbances. Gastric emptying is nearly always contraindicated because the risk of aspiration is greater than any systemic toxicity. Treatment is generally supportive with oxygen, fluids, and ventilatory support as necessary. The child who has no symptoms and a normal chest radiograph should be observed for 6–8 hr to ensure safe discharge. Certain hydrocarbons have more inherent systemic toxicity. The pneumonic CHAMP refers collectively to these: camphor, halogenated carbons, aromatic hydrocarbons, and those associated with metals and pesticides. Cuffed endotracheal tube can be placed without inducing vomiting, this should be considered, especially in the presence of altered mental status. Other substances that are particularly toxic and cause significant lung injury when aspirated or inhaled include baby powder, chlorine, shellac, beryllium, and mercury vapors. Repeated exposure to low concentration of these agents à chronic lung disease, such as interstitial pneumonitis and granuloma formation. Corticosteroids may help reduce fibrosis development and improve pulmonary function, although the evidence is limited. The recurrent aspiration of small quantities of gastric, nasal, or oral contents can lead to several clinical presentations. These include recurrent bronchitis or bronchiolitis, recurrent pneumonia, atelectasis, wheezing, cough, apnea, and laryngospasm. 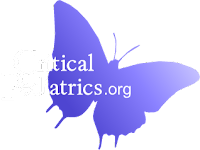 Oropharyngeal incoordination is reportedly the most common underlying problem associated with recurrent pneumonias of hospitalized children. Lipoid pneumonia may occur after the use of home/folk remedies involving oral or nasal administration of animal or vegetable oils to treat various childhood illnesses. Gastroesophageal reflux is also a common underlying finding that may predispose to recurrent respiratory disease, but it is less frequently associated with recurrent pneumonia. Recurrent microaspiration has been reported in otherwise apparently normal newborns, especially premature infants. Aspiration is also a risk in patients suffering from acute respiratory illness from other causes, especially respiratory syncytial virus infection, This emphasizes the need for a high degree of clinical suspicion of ongoing aspiration in a child with an acute respiratory illness who is being fed enterally and who deteriorates unexpectedly. Underlying predisposing factors are frequently clinically apparent but may require specific further evaluation. The caregiver should be asked about spitting, vomiting, arching, or epigastric discomfort in an older child; and the timing of symptoms in relation to feedings, positional changes, and nocturnal symptoms such as coughing or wheezing. Coughing or gagging may be minimal or absent in a child with a depressed cough or gag reflex. Observation of a feeding is an essential part of the examination when considering a diagnosis of recurrent aspiration. Particular attention should be given to nasopharyngeal reflux, difficulty with sucking or swallowing, and associated coughing and choking. The oral cavity should be inspected for gross abnormalities and stimulated to assess the gag reflex. Drooling or excessive accumulation of secretions in the mouth suggests dysphagia. Lung auscultation may reveal transient crackles or wheezes after feeding, particularly in the dependent lung segments. The diagnosis of is challenging because of the lack of highly specific and sensitive tests. A plain chest radiograph is the usual initial study for a child suspected of recurrent aspiration. It also yields qualitative information about esophageal motility and, when extended, of gastric emptying. The esophagram is insensitive and nonspecific for aspiration or gastroesophageal reflux. Generally considered the gold standard for evaluating the swallowing mechanism. This study is preferably done with the assistance of a pediatric feeding specialist and a caregiver to try to simulate the usual feeding technique of the child. Offers theoretical advantages over a barium swallow in being more physiologic and providing a longer window of viewing than the barium esophagram for detecting aspiration and gastroesophageal reflux. This procedure has been a relatively insensitive test for detecting aspiration. “Salivagram: useful in assessing aspiration of esophageal contents, although its sensitivity has not been well studied. Used effectively in adults, has been reported to be useful in pediatric patients. The swallowing is observed directly, without radiation exposure. The endoscope may alter the assessment of function, depending on level of comfort and cooperation. CT scans (generally not indicated to establish a diagnosis of aspiration) may show infiltrates with decreased attenuation suggestive of lipoid pneumonia. For patients with artificial airways, the use of an oral dye and visual examination of tracheal secretions is useful. This test should not be done on a chronic basis due to possible dye toxicity. It is important to use an adequate volume of dye, but even this may be relatively insensitive compared to measuring lactose or glucose in airway secretions. Quantitation of lipid-laden alveolar macrophages from bronchial aspirates has been shown to be a sensitive test for aspiration. Bronchial washings may also be examined for various food substances, including lactose, glucose, food fibers, and milk antigens. Treatment should be directed towards underlying medical condition. o Limiting quantity per feeding. Nasogastric tube feedings can be utilized temporarily during periods of transient vocal cord dysfunction or other dysphagia. Post-pyloric feedings may also be helpful, especially if gastroesophageal reflux is present. Several surgical procedures may be considered. Tracheostomy, although sometimes predisposing to aspiration, may provide overall benefit from improved bronchial hygiene and the ability to suction aspirated material. Fundoplication with gastrostomy or jejunostomy feeding tube will reduce the probability of gastroesophageal reflux–induced aspiration, but recurrent pneumonias often persist because of dysphagia and presumed aspiration of upper airway secretions. Aggressive surgical intervention with salivary gland excision, ductal ligation, laryngotracheal separation, or esophagogastric disconnection can be considered in severe, unresponsive cases. Ventilator related complications were associated with poor outcome.